Essentially, the entire TurboFire program has a singular focus: that getting fit can be fun, and that eating healthy doesn't need to be a complex task. 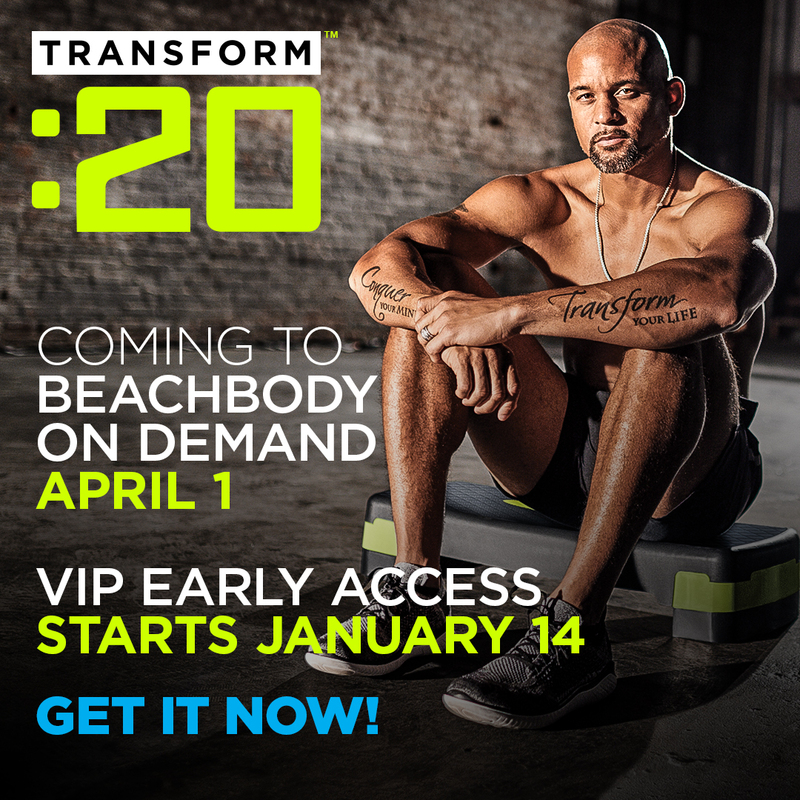 And while there's a lot of science behind what you'll see as you follow along, our goal was to make it as simple as the original Beachbody® tagline: Just Push Play. Whenever you have one successful workout program, it's always hard to decide what to do next. When you have three, like Turbo Jam®, Turbo Kick®, and ChaLEAN Extreme® creator Chalene Johnson does, it can seem like an especially daunting task. But when Johnson's Fat Blaster workout (part of the Turbo Jam® Fat Burning Elite program) became a serendipitous hit, we knew it was time for Chalene to take things to the next level. That's how the idea for TurboFire® was born. 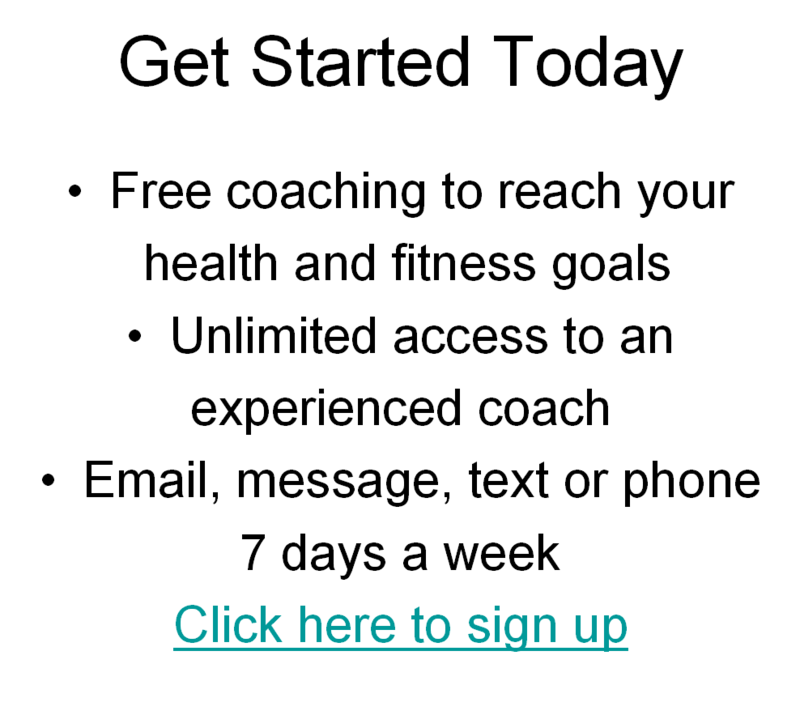 The goal was to create a next-level fitness program that could be done by anyone and was easy to follow. Here's how we did it. TurboFire is based around a concept called High Intensity Interval Training, or HIIT. HIIT has been somewhat popular since the '90s, when a study suggested that you could burn up to 9 times more body fat using short but very high-intensity intervals than you could using old-school steady-state aerobic training. HIIT's popularity had been cultish, mainly because HIIT training had two perceived negatives associated with it. First, it's hard; as in full-bore, maxed-out cross-eyed hard. (The Tabata study from '96 forced subjects to 170% of VO2 max, or the maximum capacity for the body to transport and use oxygen during incremental exercise.) Second, it can only be effective when done in short cycles. But Chalene was intrigued with HIIT's time-efficient structure, which promised great results, so we decided to see if we could create a training program based around it. Our decision to focus on HIIT wasn't based on just one study. Additional studies have showed similar results, using variations of the HIIT protocol. A 2001 study concluded that HIIT training increases the resting metabolic rate (RMR) for the 24 hours following a workout due to excess post-exercise oxygen consumption, which explains how a short interval workout can have a longer-lasting effect on body composition change than a much longer cardio session. 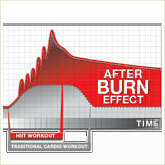 We termed this phenomenon the AfterBurn Effect and began assembling a series of workouts that could maximize HIIT across many training platforms. Increases in post-exercise oxygen consumption are not unique to HIIT. No other style of training has HIIT's peak numbers, but they can be done for longer periods of time. There is science behind the saying "For every action, there is a reaction." All that intense HIIT training comes at a cost; the body breaks down quickly and it can't be sustained for very long. Numerous studies were on the same page in showing that fitness gains made with HIIT training begin to plateau sometime after the third week. Therefore, the key to creating a fitness program using the HIIT modality required us to figure out how to either get the body to recover for another round of HIIT training as quickly as possible, or look at other training modalities that could work in conjunction with HIIT that also yielded results. In basic terms, periodizational training means finding a way to alter training over time to maximize results; sort of like basic cross-training, but with a more well-defined plan. 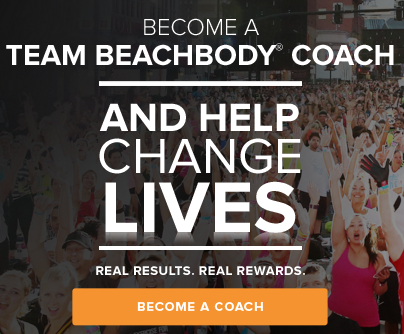 If you're familiar with Beachbody's fitness programs, you've seen this before. All our programs have a schedule that changes over time. The two factors that control how much change occurs are time and intensity. Essentially, over time everyone should alter their approach to training, and the fitter you are, the more your approach needs to change, to continually cause something called the adaptation response. For those of you who've done P90X®, the TurboFire schedule should look familiar. But TurboFire, as Chalene says, "is not P90X for girls." It's a HIIT-focused training program, where all the other training is designed to prepare you to get the best results possible during your HIIT training phases. And while both P90X and TurboFire have a somewhat complex periodizational structure, their schedules are quite different. TurboFire combines both of the philosophies you'll hear Chalene espouse in her other programs, Turbo Jam and ChaLEAN Extreme. The tagline from ChaLEAN Extreme, Muscle Burns Fat®, doesn't get chucked out the window just because we created some HIIT routines. The physiological principle that adding muscle to your frame increases your metabolism and leads to changes in body composition is valid, and you'll find that resistance work is a major component of TurboFire. In ChaLEAN Extreme, you'll often hear Chalene say you should do resistance training three times per week for the rest of your life. It's not just talk, and TurboFire holds you to it. In fact, in an homage to the P90X tagline, Muscle Confusion™, as part of the TurboFire program, you'll receive a schedule for a hybrid program that combines ChaLEAN Extreme and TurboFire. When you combine the two programs, you get a periodizational schedule that'll keep challenging your body's adaptation response for nearly a year! TurboFire, in fact, is not as much of a HIIT program as it is a Chalene program. 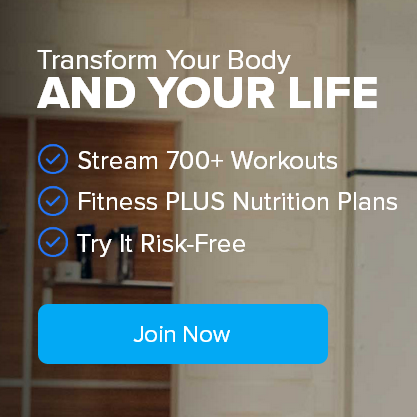 Her workouts are unique, and TurboFire is very much an extension of her first Beachbody program, Turbo Jam, which was a home version of her health club training class, Turbo Kick. She termed her first vision of TurboFire "the next level of Turbo Kick," and that's pretty much what we've got here. The program has the look and feel of being in an exercise class at the gymâChalene's preferred environment. Chalene likes the class environment because "it's fun and provides motivation." But there's more than fun at the root of her classes. Cardio is an umbrella term that covers a lot of different styles of training, from easy aerobic to intense HIIT. No matter where between these extremes your workout falls, you're going to be targeting different human energy systems that have different physiological benefits. For the TurboFire system, Chalene created different cardio classes to make sure each of these energy systems were being targeted, to achieve an effect she calls Cardio Confusion, a play on words referencing P90X's Muscle Confusion. Cardio Confusion is more than a slogan. The cardio phases of the TurboFire program combine different styles of interval training with recovery-oriented aerobic training to create a steady growth curve in your fitness levels. This accelerates your body's ability to get ready for your next round of HIIT, but it also takes advantage of the AfterBurn Effect by targeting different energy systems. Targeted recovery is not a by-product of TurboFire, but an essential part of the program. That you only get stronger at rest is a gym clichÃ© that, as many do, holds a lot of truth. 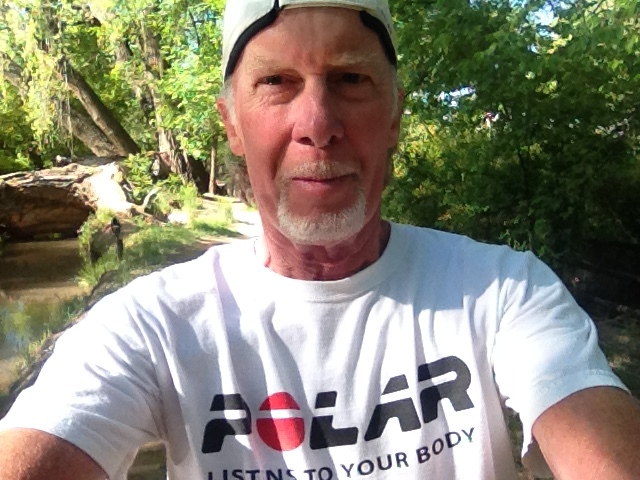 Active recovery helps your body grow strong much more quickly than does rest alone. All high-level training programs work better if they contain targeted rest and recovery phases. During these periods, you target the body's aerobic system, stabilizer muscles, and use techniques, which stretches out overworked muscle fibers and heals connective tissue microtrauma. A program for one. A program for all. It's often difficult to find one fitness program that would work for everyone, and it's generally not best to recommend that everyone do the same program, rather than steering each person toward the program that best fits their needs. Reality, though, has taught us that people often want to do what inspires them, whether it fits their ability level or not. 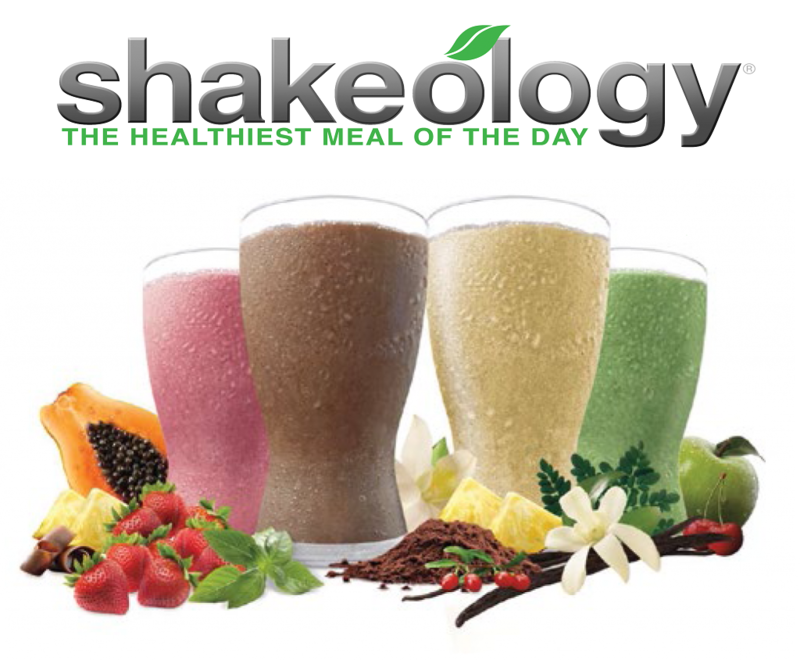 Beachbody's high-level programs P90X and Insanity® are meant to be "graduate" programs only; each comes with a fitness test that, if you can't complete it, recommends you do a lower-level program first instead. While our beginning-level customers should pay attention to this advice, and would usually get better results with an easier program, we've learned that they don't always do what we recommend. With TurboFire, however, we've done our best to allow nearly anyone to attempt the program safely. In fact, we included a 2-month preparatory schedule for anyone who thinks they may not be ready for the rigors of HIIT training. Not only that, every move in the program comes with a modified version that almost anyone should be able to follow. Furthermore, Chalene recognized that some men can be rhythm-challenged, so she purposely made the choreography a lot easier to follow than it is in Turbo Jam and her health club classes. 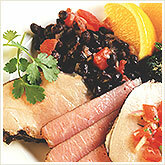 The final element of the program is diet, another element where TurboFire has evolved beyond other Beachbody programs. TurboFire has gone in the opposite direction from P90X, which has a phased eating plan that some of our customers have found to be complex. 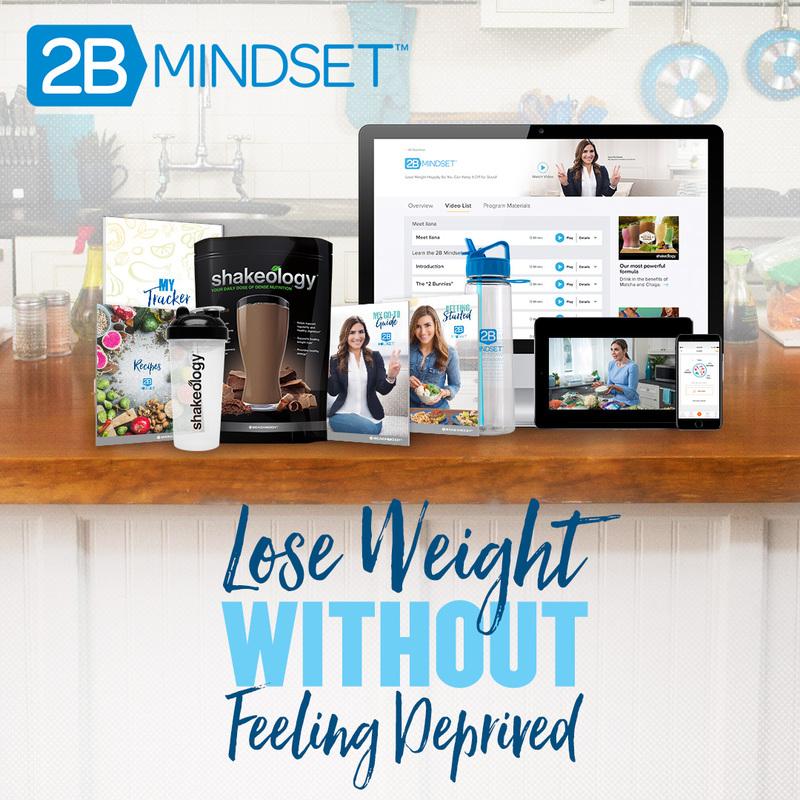 Instead, TurboFire's diet has expanded on the Beachbody Step by Step Nutrition Guide and tried to give you a variety of different ways to alter your eating habits, with the same end purpose as our other plans: a balanced diet that fuels exercise recovery. Coffee, V.G. and J.A. Hawley. The molecular bases of training adaptation. Sports Med. 37:737-763, 2007. Gibala, Martin J; Jonathan P. Little, Martin van Essen, Geoffrey P. Wilkin, Kirsten A. Burgomaster, Adeel Safdar, Sandeep Raha and Mark A. Tarnopolsky (September 15 2006). "Short-term sprint interval versus traditional endurance training: similar initial adaptations in human skeletal muscle and exercise performance". J Physiol 575 (3): 901â911. King, Jeffrey W. A Comparison of the Effects of Interval Training vs. Continuous Training on Weight Loss and Body Composition in Obese Pre-Menopausal Women: A thesis presented to the faculty of the Department of Physical Education, Exercise, and Sports Sciences, East Tennessee State University; 2001. Little, Jonathan P; Adeel S. Safdar, Geoffrey P. Wilkin, Mark A. Tarnopolsky, and Martin J. Gibala (2009). "A practical model of low-volume high-intensity interval training induces mitochondrial biogenesis in human skeletal muscle: potential mechanisms". J Physiol. Melby, C., C. Scholl, G. Edwards, and R. Bullough. Effect of acute resistance exercise on postexercise energy expenditure and resting metabolic rate. J. Appl. Physiol. 75:1847-1853, 1993. Tabata I, K. Nishimura, M. Kouzaki, et al. (1996). "Effects of moderate-intensity endurance and high-intensity intermittent training on anaerobic capacity and VO2max". Med Sci Sports Exerc 28 (10): 1327â30. Tremblay, A., J. Despros, C. Leblanc, C.L. Craig, B. Ferris, T. Stephens, and C. Bouchard. Effect of intensity of physical activity on body fatness and fat distribution. Am J. Clin. Nutr. 51:153-157, 1990. Tremblay A, JA Simoneau, C Bouchard (1994). "Impact of exercise intensity on body fatness and skeletal muscle metabolism". Metab. Clin. Exp. 43 (7): 814â8.